Condair low energy JetSpray humidifier is providing electrostatic control to the award winning Fujitsu data centre in North London. Having employed many energy saving and IT optimisation strategies, Fujitsu North London conserved the energy equivalent of 6,000 homes per year and won Most Sustainable Refurbishment at the Building Services Awards 2008. 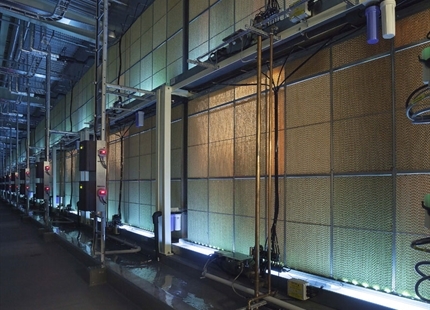 One of these energy saving strategies was to use heat recovered from the data halls to evaporate cold water sprays, rather than use energy-hungry steam humidifiers, to humidify the fresh air entering the data centre. 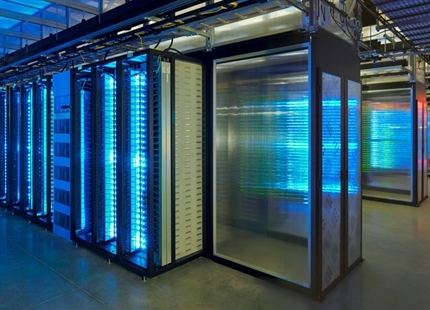 Lee Prescott, Associate at engineering consultancy, Red Engineering Design, explains, “A low humidity presents an unacceptable risk of static for a data hall, which at Fujitsu North London Data Centre was to be controlled to 50% ±10% relative humidity. The main humidity requirement is in the winter when the fresh air being introduced is very cold with a saturated relative humidity but low moisture content. The incoming cold air is heated to 30°C prior to humidification with heat recovered from the data halls, allowing the air to absorb more moisture. The spray humidification then increases the moisture content of the warm air whilst cooling it back down to the room supply temperature of 17°C. “This humidification process is very energy efficient as the heat used to evaporate the moisture is recovered from the data hall, using water to water heat pumps, removing the need for steam humidification.” Lee concludes. 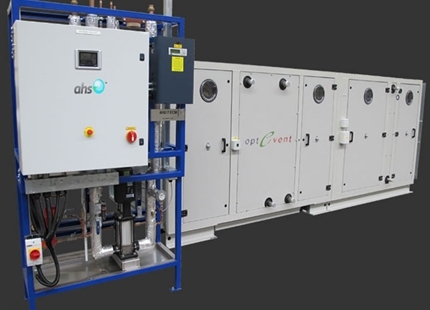 The JetSpray compressed air and water humidifier installed in the air handling system at the datacentre is capable of releasing up to 160 litres of moisture per hour into the AHU. A JetSpray humidifier of this size uses approximately 320mW less energy to operate per year than an equivalent electrical steam humidifier, resulting in an energy cost saving of over £35,000. The JetSpray humidifier can be used for both in-duct and direct air applications. 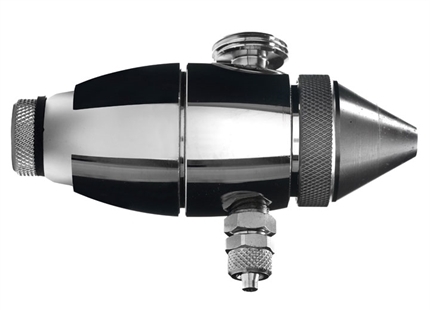 It consists of rows of precision engineered nozzles that combined compressed air and water to produce drip-free sprays of just 7.5µm, which rapidly evaporate raising the humidity to the required level. The control panel uses the latest remote digital interface that can be mounted up to 100m away from the main control unit. The whole system is very easy to install and can run on mains, demineralised or softened water. As well as saving energy, the JetSpray humidifier also reduces maintenance requirements, when compared to steam humidifiers, as there is no limescale build-up within the system. The minerals are removed from the supply water with an RO water filter to remove the possibility of dust carry-over into the duct once the spray evaporates. 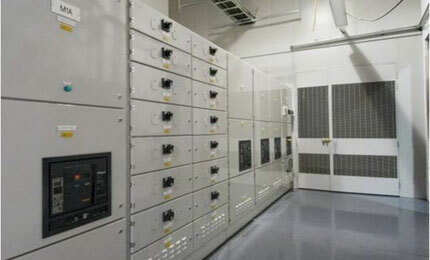 Red Engineering Design worked alongside the main contractors, Modus Group, the construction consultants, Turner & Townsend and the client, Fujitsu Services, to achieve a calculated annual average power usage effectiveness (PUE) at the datacentre of 1.28 compared to previous datacentres at PUE 3.0. 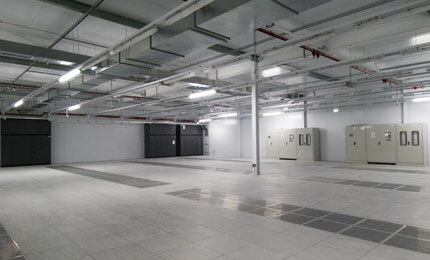 Fujitsu North London is the only data centre in Europe accredited to Tier III by the Uptime Institute and alongside the Most Sustainable Refurbishment Award 2008, achieved The Data Centre Leaders’ Award 2008: Innovation in the Mega Datacentre.